He is literally this, she literally said that, this thing is literally X! 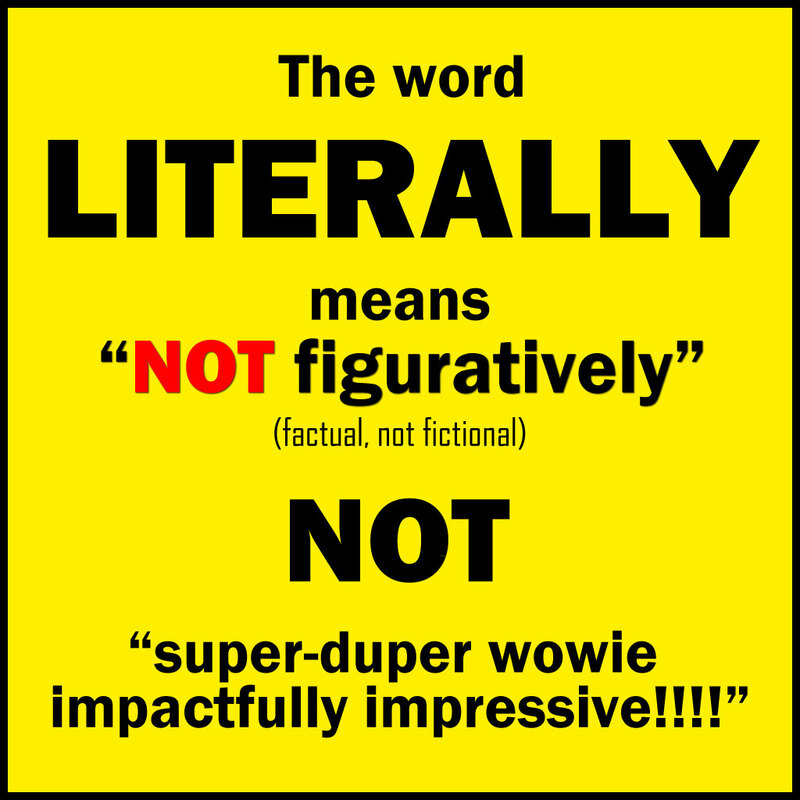 Please abandon the lazy abuse of the word “literally.” I hereby grant thee, Dear Reader, permission to bitchslap the next three people who misuse the term “literally” if you point them to this post. Make it a good one. … as opposed to a figuratively pro-Fascist woman? If one asserts something, we expect a literal meaning, not a figurative one, unless a metaphor or allegory is self-evident. If speaking of what is, directly and unequivocally, is emphasis due to the fact that it is not figurative, what does that make the rest of your speech? How watered down must ones mind be?